Renowned Insurer Allianz released its Risk Barometer for 2018 in January, identifying the Top Business Risks for 2018. Risk managers, underwriters, brokers and other prominent insurance industry figures from across the world participated in the Allianz survey to identify the most prominent risks that businesses will face this year. Business Interruption topped the list as the most important risk faced by companies globally, followed by Cyber Incidents and Natural Catastrophes. Australian Business owners should be aware of the following risks, and consider the potential impact on their business so that they can identify the best strategies that will minimise their risk exposure in 2018. 42% of respondents identified Business Interruption as one of the main risks for 2018, as a pause in trading can have a massive affect on a business’ overall revenues. Triggers for Business Interruption are ever increasing. Natural disasters and fires were previously the main cause for an interruption in business activities, however Cyber incidents are also a huge consideration for businesses in 2018. 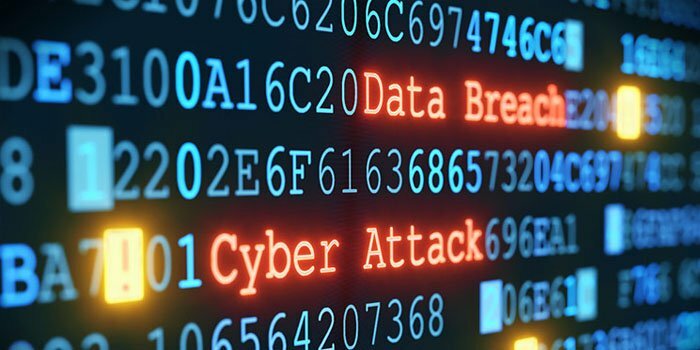 Cyber Incidents are on the increase, from cyber crime to technical failures or employee error, and while they don’t necessarily cause physical damage to the business, the financial impact of such an incident can be massive. Cyber incidents were identified as the 2nd most important business risk, from 40% of respondents. The prominence of this risk has grown significantly in the last 5 years, when it ranked just 15th. This is due to the increasing reliance on technology from companies across the world, which increases the chances of employee error or the chance of a data breach. Furthermore, the number and severity of cyber attacks is increasing. Cyber attackers are becoming more sophisticated and one attack can impact hundreds, sometimes thousands of companies. It’s particularly important that SME business owners are aware of this threat as 43% of cyber attacks are aimed at small businesses. In 2017, insured losses as a result of a natural catastrophe reached a record-breaking $135bn. This is the 3rd most important business risk in 2018, identified by 30% of respondents. Due to the activity of the past year, businesses are worried that natural catastrophes may increase in intensity and frequency, which may have a negative impact on trading in 2018. In a similar field, climate change was also defined as one of the top 10 risks. It is important that you protect your business for the risks that it faces. All risks require tools and mitigation strategies to help manage and minimise the potential impact. Your insurance advisor can help advise on covers that can best protect your business. Is Your Insurance Up to Date for 2018? Is Your Business Covered for Faulty Workmanship?